I’m going to explain everything about how to transfer contacts from Android to Android phone on PC in this post. At the latter part, I will also share with you how to transfer contacts from phone to phone using Bluetooth. There is always a contentment in getting a new phone. Click on the power button for the first time, follow the onscreen instructions to setup your device for the first time. However, it becomes complicated when you have tons of contacts to transfer from your old phone to the new one. Copying them one after the other is a huge task which I personally believe you wouldn’t want to try. However, in this jet age, I can guarantee that is very easy to transfer contacts from Android to Android phone, even between Android phone and iPhone. Meanwhile, there are pre-requisites you need to put into consideration when you decided to transfer your contacts from your old phone to your new phone. In most cases, I prefer to transfer contacts from my old phone to a new phone using my computer. Although, this is not the only way to transfer contacts between phone. If you have a backup of your phone contacts you can transfer it using Bluetooth. 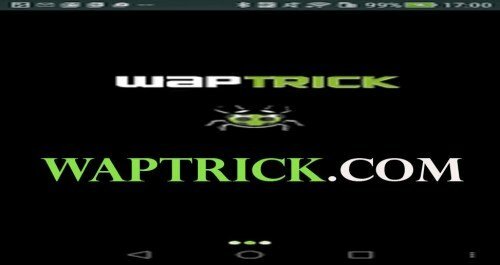 How to transfer contacts from Android to Android using Bluetooth is very easy but you need to know how to backup your old phone contacts with either backup app for Android or iOS and restore it via transferring. Meanwhile, to use this technique to transfer contacts between your two phone first read how to backup your phone contacts successfully. And again, if you don’t want to stress yourself to transfer contacts between your phones you can use Gmail feature to backup phone contacts and restore it your new phone using Gmail username and password. In our previous post, we shared a step by step procedure to backup phone contacts to Gmail, you may want to check it out. Without much ado, following the procedure below you will be able to transfer contacts from android to android using your PC. As you will want to believe, it is very easy transferring contacts between two phones when you have a backup copy. But it is also very easy to transfer phone contacts from one phone to another on PC when you have the necessary tools at hand. The following are what you need to get ready to make this happen on your Android phone. The USB needed to connect your two phones to your computer for the transfer of your contacts between the two phones. This is the software needed to access your contacts on your old phone so that you can transfer an exact copy to your new phone when connected to your computer. 1. Download and install mobile transfer software on your computer. It’s a paid software but the free trial version period is enough to accomplish this assignment. 2. Fire up mobile transfer software on your computer and connect your two phones [new & old phone] to your computer using the two USB cables you provided above. Wait until your devices are detected by the software. From the popup, select phone to phone transfer. 3. MobileTrans software will detect all your phone details including call logs, SMS, contacts, and many others. Tick on each of the option you want to copy to your new phone. In this post, we are interested in copying contacts from the old phone to the new phone, then tick on phone contacts and if you are interested in copying other files select them as shown below and click on start copy. 4. After the above steps, your phone contacts will start copying. The time that will take the whole contacts to copy from the old phone to the new phone depends on the number of contacts you have on your phone but it should be within 10 minutes at maxs. Once the process is completed you will have all your old phone contacts transferred to the new phone and that is it. If you are unable to transfer your old phone contacts to the new one that means your computer could not detect your two phone. Or better check your USB cables if there is a problem with them. This is the exact procedure that has been working for me for years. If you have any problem on this section of How to Transfer contacts from Android to Android phone please use the comment below. This is a very handy way to transfer contacts between two phones. It’s most known method because it is stress-free, it consumes lesser time and it doesn’t require any software. However, following the procedure below I will share with you how to transfer contacts from Android to Android using Bluetooth. 1. Go to your phone settings and enable Bluetooth connection on both devices. Connect to each other and click on more option. Click on the gear icon in front of the name of your phone and select contacts sharing under internet access and click OK.
2. Navigate to your phone menu and select Contacts on your old phone. Click on more option to the upper right and click on import/export from the list of options available. 3. On the new page select phone contacts from the options and click on Next button to the bottom of the page. This means that we are transfer contacts saved on your phone to the new phone. 4. On the page that follows select your new location and click on next button. All your phone contacts will start transferring from your old phone to your new phone using the Bluetooth feature on your phone. How to transfer contacts from Android to Android using Bluetooth is the most used method for transferring a backup copy of your phone contact to your phone via Gmail [restoring phone contacts from Gmail]. With this two approaches now, you should be able to transfer your contacts from one phone to another without a problem. Note: This procedure does not work with SIM contacts. If you need to copy SIM contacts from your old phone to your new phone, remove the SIM from your OLD phone and insert it into your new phone and select all SIM contacts and copy it to your new phone.